Developed in cooperation with pediatricians, this baby bouncer chair is best suited for newborns who need enhanced back and neck support. All materials are safe and contain no health-hazardous substances. You won't need to worry even if your kid chews on it. A toy bar isn't included but you can buy it separately. The BABYBJORN bouncer is an appropriate baby bouncer seat for home and outdoor use. 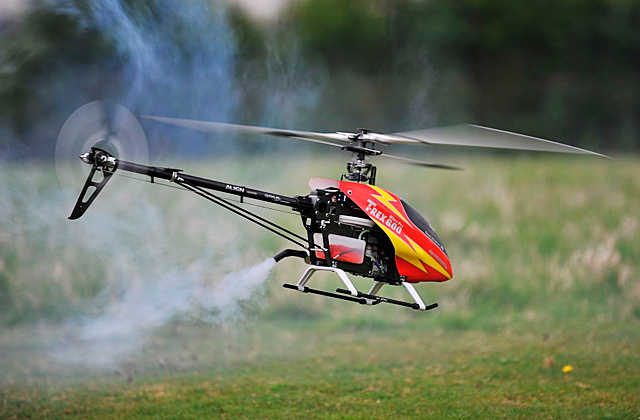 It will not only soothe your child but will also keep him entertained. The biggest advantage of this bouncer is that you can reverse its cover and use it like a toddler chair. Available in 12 colour options and stylish designs. A soft non-slip covering coupled with a soothing vibration mode allows your child to feel safe and cosy in the 60049 bouncer. 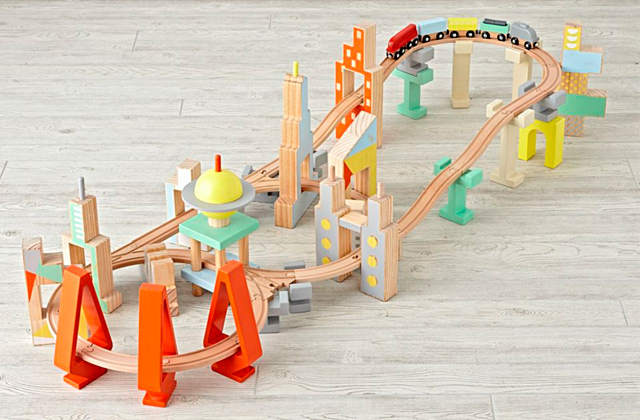 An interactive toy bar attached will keep your little one occupied. It doesn't collapse to a flat position, meaning it's not suitable for newborns. 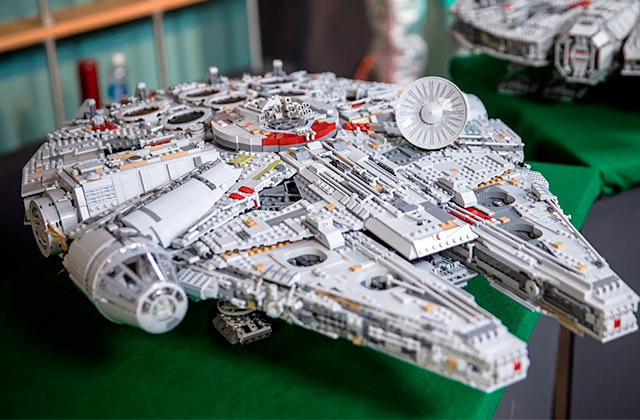 This is a dual-purpose model that can swing in two motions. 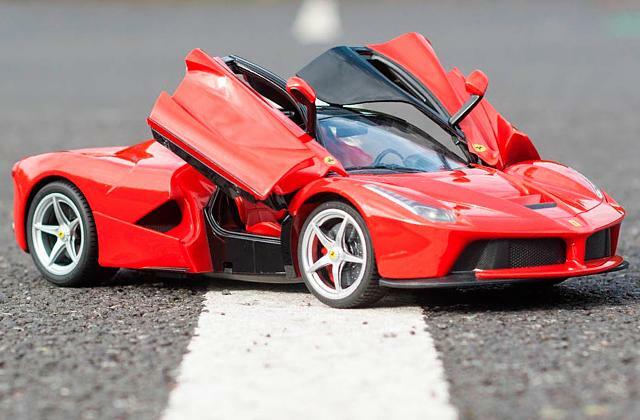 A great alternative to expensive models which will serve you faithfully for a long while until your child becomes too big to fit in it. Thanks to Hybridrive ™ technology, this bouncer works three times longer on one charge of batteries. It is compact and foldable for convenient storage and transportation. Boasts two modes: swing and soothing vibration, and 11 melodies for your choice. The Ingenuity 10216 can become your best bang for the buck. It features a reliable and safe construction with extra padded headrest and feet support and it offers a good choice of sound effects to keep your kid entertained. 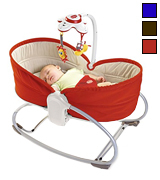 Has three adjustable positions: napper, rocker, and chair, making it a multi-functional model. 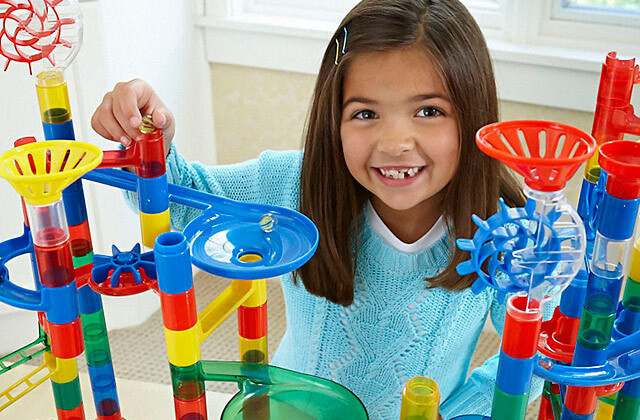 Features an electronic touch-activated toy bar, contributing to the child's development of motor skills. Swing amplitude might seem low. This rocker is an excellent choice for long-term use since it is quite durable and suitable for children from birth up to 2 years. Plus, with different textures of materials, your baby will develop sensory perception quicker and with pleasure. Due to Actuation Plunger function, this bouncer folds flat for compact storage. Includes a couple of cute BabaBing toys to stimulate child's development. The hook-and-loop fastener is designed poorly. 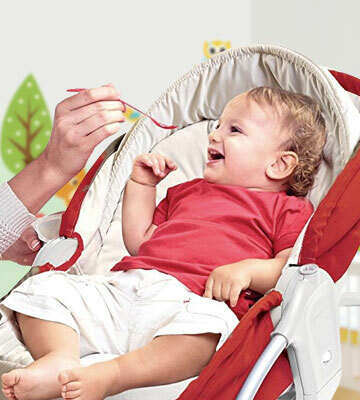 Easy-to-install and maintain, the Bababing BB50-001 baby rocker will become a good investment for all parents that look to buy an inexpensive rocker that incorporates all the needed functions to amuse and entertain their children. The BABYBJORN 005022US Baby Bouncer was created in cooperation with pediatric orthopaedic and neonatal specialists to make life easier for parents and, at the same time, to cause no harm to their babies. 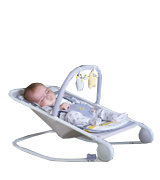 Suchwise, they've implemented the best characteristics in this bouncer so that it would not only look appealing but would also provide the needed support to a newborn's weak and undeveloped yet muscles of back and neck. The BABYBJORN 005022US boasts superior quality padding and textile and features a reliable restraint system to hold a child securely in the chair whilst he or she is sitting there. The best part about it, though, is that it can be used in several positions up to the moment your child grows up and starts to walk. According to the specifications, the BABYBJORN 005022US's max weight load capacity is 9 kg; however, if you mostly use it in a flat position, the weight load should not exceed 7 kg. One of the other things about this bouncer that's surely worthy of appreciation is its folding construction, making the bouncer's transportation and storage a breeze. Though the BABYBJORN 005022US hasn't got a toy bar, we do not consider it as a drawback given that it's possible to attach any other toy bar you've got. Still, the biggest advantage of this bouncer, like we've mentioned above, is that it's multifunctional and can also double as a toddler chair as your child grows up a bit. All you will need to do to convert it into the chair is reverse the cover and fix it at the highest position. What BABYBJORN products are famous for is that they all meet EN and ASTM safety standards and that they are made out of quality materials that contain only approved substances and textiles tested in compliance with one of the strictest child safety standards, Oeko-Tex Standard 100, Class l.
To check the authenticity of a BABYBJORN baby bouncer, make sure to check the following aspects. Firstly, the bouncer is supposed to contain two parallel lines which are found on all BABYBJORN products. And secondly, they should bear a branded logo with two diamond-shaped points above "o". The original products boast only high-quality material composition and strong stitching with 2-3 stitches per cm. Most of them look stylish and feature a well-balanced colour design. If you still doubt whether or not the bouncer you've got is an authentic BABYBJORN product, you're welcome to contact the manufacturer sending your inquiry via the email: customerservice@babybjorn.com. The company is taking care of all its customers and will readily help you with any issue regarding their products. The Bright Starts 60049 is a high-quality bouncer seat that has become very popular among thousands of customers for a number of reasons. One of the first ones is surely its beautiful design. Being trimmed with a colourful fabric with a jungle print, the Bright Starts 60049 will instantly attract your child's attention once you bring it home. The other thing you should like about it is that it comes with a toy bar, meaning you won't need to seek one somewhere else. Suchwise, by buying the Bright Starts 60049, you get your child a comfy seat where he or she may not only rest and doze but also keep himself/herself amused by playing with animal toys danging from the toy bar. The good thing is, this toy bar is detachable which means you can take it off anytime you see your child has got bored of it. The Bright Starts 60049 is a dual-purpose baby bouncer. It offers two motion functions allowing you to adjust the level of vibration and the bouncer movement in two different ways, depending on your child's mood and activity. In case your child doesn't like vibration, it can be switched off. The Bright Starts 60049 runs on one C battery, so make sure to buy one in advance to be able to test your new bouncer upon unpacking the delivery box. The Bright Starts 60049 bouncer was crafted with the child safety in mind. All the edges and frames of this bouncer were padded so that a child couldn't hurt himself or herself anyhow. The feet were fitted with non-slip caps to give the construction good balance and stability. Similar to most other bouncers on offer, the Bright Starts 60049 was equipped with a harness system with adjustable straps that can be tightened or loosened as the child grows. The bouncer's maintenance and assembly are clear and straightforward and there's a handy manual with detailed instructions included. All in all, we haven't found any drawbacks in this model and believe it may become a good alternative to more expensive baby bouncers on offer. 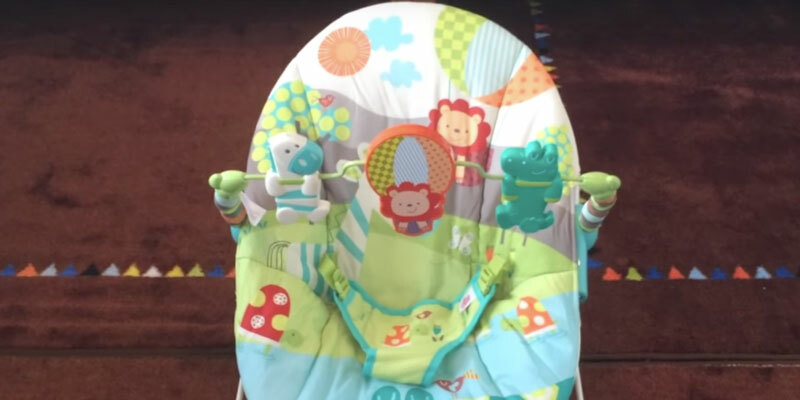 If you do not look forward to spending a lot of money but want to get a comfy baby bouncer for your child, consider buying the Bright Starts 60049 which not only comes at an affordable price but also includes a toy bar that most of the bouncers do not have. The Ingenuity 10216 baby bouncer is an amazing chair, which was designed not only to comfort children but also to entertain them. Thereby this rocker has five different swing speeds, ranging from very light soothing motions to more tangible vibrations, which can be adjusted with a single button on the supporting part of the bouncer. Whichever level of vibration you select, the baby bouncer isn't going to produce any noise due to the implemented WhisperQuiet technology. In addition to adjustable swing speeds, the Ingenuity 10216 baby bouncer gives you a choice of eight melodies and three nature sounds to play for your child. Designed in the form of a leaf, the toy bar includes several toys and has a couple of extra loops for attaching more playthings. What we like about this baby bouncer, in particular, is that it's not necessary to detach the bar to take a child out from the seat. 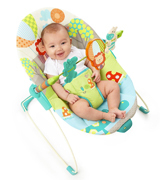 The toy bar smoothly pivots in all directions giving you easy access to your baby. Another thing that comes to our liking is the fact that this model features not only a padded seat but also a cushioned headrest and foot rest ensuring greater support of the child. The Ingenuity 10216 is very easy to use and handle, in spite of a variety of adjustable settings. Most of the adjustments require no more than pressing a single button, including converting it to a chair. Thanks to the SlimFold™ design, the Ingenuity 10216 bouncer folds easily and occupies very little storage space. The upholstery is removable and can be washed in a washing machine, which makes it easy to keep the bouncer fresh and clean. 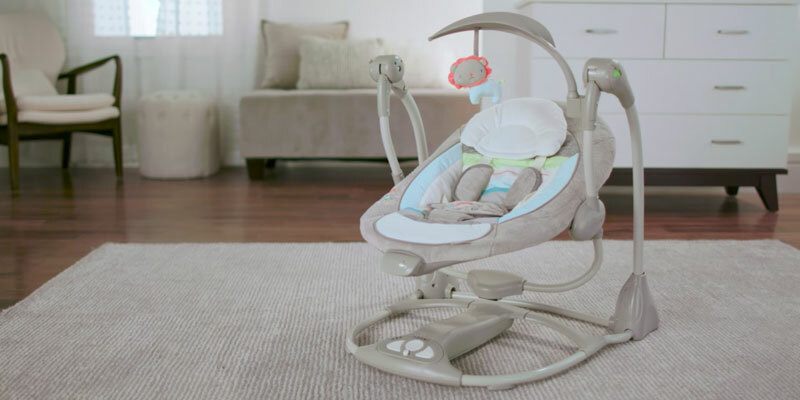 One of the best features of the Ingenuity 10216 is that it has a swing timer, making it possible for parents to have some time for themselves whilst the soothing vibration motion keeps the child occupied. Though there's no option to connect the bouncer to an electric source, thanks to the Hybridrive™ Technology used, the batteries it works with operate three times longer than most traditional ones. Speaking of the safety features, the Ingenuity 10216 was equipped with one of the most reliable 5-point safety belt systems to hold the child securely in the seat. What's more important, the belt was padded with a plush soft covering to prevent skin rubbing, which makes this bouncer suitable even for newborn kids. Considering all the above, the Ingenuity 10216 is definitely a worthy baby bouncer to consider if you seek to buy a quality, reliable, and functional product for your child. Featuring a modern and ergonomic design, it has a lot of functions and modes you won't find in other models. 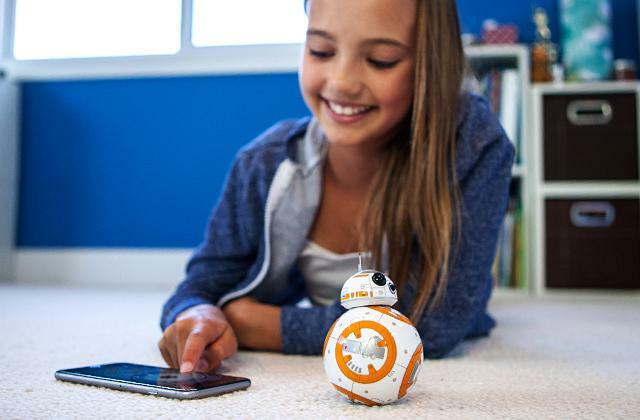 You can be sure your child will love it from the first days it arrives at your doorstep. 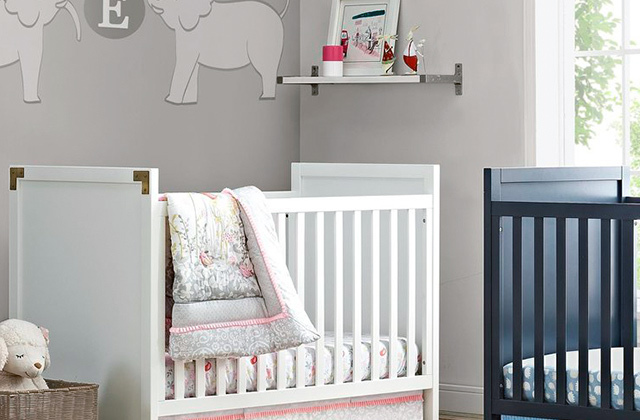 Tiny Love is an international company that creates high-grade products for children and their parents. The company has won several awards in the nominations such as the Best Baby, Toddler Gear, and the Baby and Pregnancy and is proud to produce baby products that children and parents enjoy. The Tiny Love 3-in-1 Rocker Napper is one of the greatest examples of the company's approach towards its customers' needs. The team behind Tiny Love is well aware of the fact that children grow up quickly. Which is why they've developed a baby bouncer that would keep up with the needs of growing children. 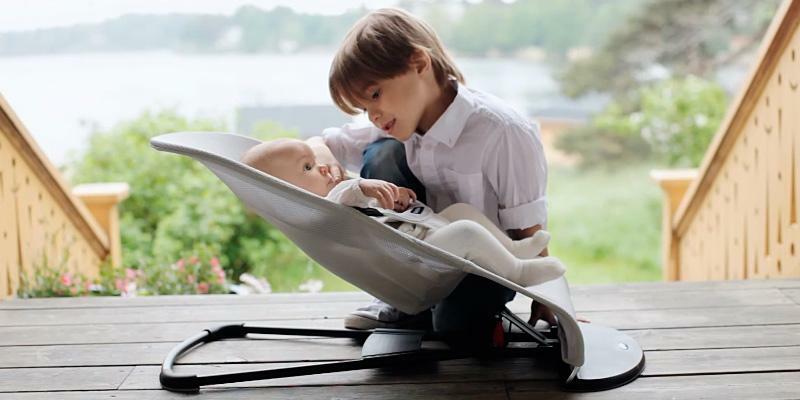 Unlike the majority of models of baby bouncers that are aimed at children of 6-12 months, the Tiny Love 3-in-1 Rocker Napper will remain your kid's favourite up to the time he or she reaches 2-3 years of age. The bouncer has three positions (napper, rocker, and chair) and features an easy-to-access lever at the back of the seat for adjusting. 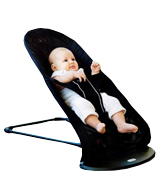 The napping and rocking positions are good for kids that weigh around 8-9 kg. The sitting position will work for a kid who can sit unassisted, which usually happens when he or she is about 6 months old. Like we've mentioned above, the Tiny Love company aims at providing its consumers only with high-quality baby products. That's why they apply a meticulous approach to the marketing needs to improve the existing solutions. 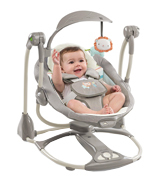 Though this rocker doesn't look seemingly different from many other models of baby bouncers, it differs from most of them in the improved design featuring a 3-point safety belt and raised borders providing additional protection. Yet, the best thing about this rocker is surely the electronic toy bar attached that is easy to enable by a single touch. So instead of selecting all settings yourself, the bar will encourage your little one to try to do it himself, contributing to his mental processes and development of fine motor skills. 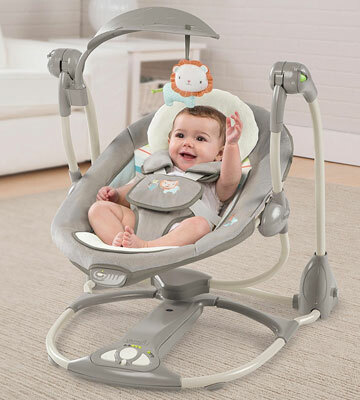 The rocker features 9 soothing and entertaining sounds and two stuffed hanging toys to keep your child entertained. 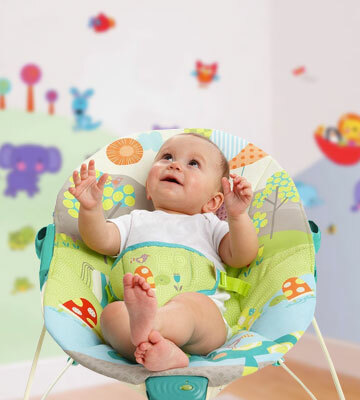 Indeed, the Tiny Love 3-in-1 is an excellent baby bouncing chair, to say the least. Being designed with love and care for children, this model is doomed to bring only joy and positive emotions to its owner. Most will agree that life is movement. By staying in motion, we develop and become stronger, which is why the natural motion is important for children. When it comes to newborns, floor time is their main physical activity; however, you can prolong the time of activity of your child using the BB50-001 3 baby bouncing chair which was designed to suit kids from the birth up to the time they are 2 years old. The distinguishing feature of this rocker is that it comes to a motion when a kid kicks it with his feet. However, this isn't the only good feature of the BB50-001. Featuring two adorable BabaBing stuffed toys, it will stimulate your child's development of motor skills by luring him to move. Like many other bouncers, the BB50-001 has three adjustable positions for storage, full recline for chilling out, and a seated position for feeding your little one when he or she can sit upright. To ensure greater convenience for you and for your child while feeding, make sure to flick the feet of the bouncer out to fix it still. What can say more about the product than public approval? Despite the fact that this rocker isn't the most expensive one on the market, thousands of happy owners remark its quality build and excellent ergonomics. With a scrupulous approach to manufacturing baby products, the company does its best to simplify the life of parents and to provide comfort to a child. 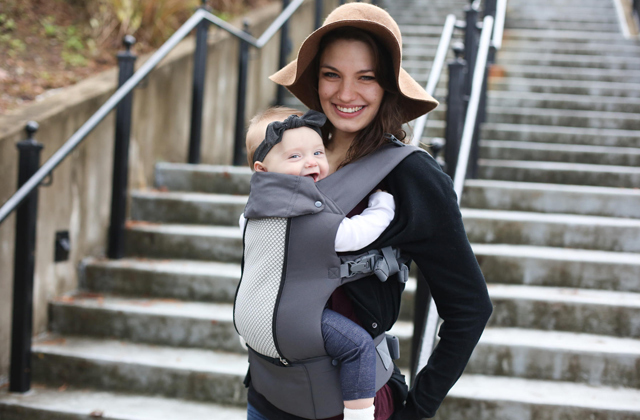 What stands the Bababing BB50-001 out from the pack is its lightweight construction that easily collapses for effortless transportation, allowing you to take it with you anywhere you go. Whether you're planning to call on your friends or visit a grandma and grandpa, you can take the bouncer with you to ensure that your child has a comfortable rest place. If you're looking for a budget-friendly baby bouncer that would be great both for entertainment and for napping, the Bababing BB50-001 3 may be just the right bouncer to invest in. 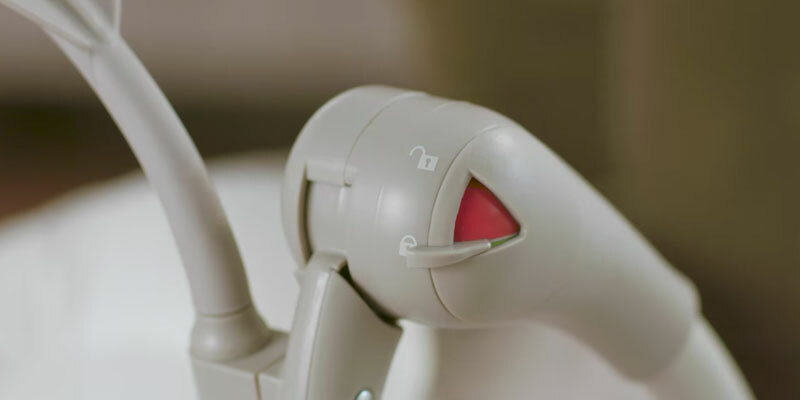 Though it doesn't feature any of the smart bells and whistles that more sophisticated models have, it incorporates all the essential features that both parents and children need. Every young mother faces a challenge of cooking, taking a shower or grooming herself since her newborn baby can't be left unattended. Luckily today, there are numerous accessories on the market to help moms, and a baby bouncer is one of the most usable devices. It looks like a small rocking-chair with a capability to fasten a baby so that he is always within eyeshot while moms are doing their business. The main purpose of a baby bouncer is to calm your baby with soothing vibrations and different songs while he is laying on it. Rocker seats are also designed to entertain your little one and help him develop basic motor skills and sensory perception through kicking, hitting, and manipulating with playthings on the toy bar. Being lightweight and portable, the device allows you to move it around the house or take it along while going out. Read our 5 best baby bouncers review and pick the best accessory for your kid! Also, make sure to check our review of the best baby swings which are a less portable version of baby bouncers. Before you buy a baby bouncer, pay your attention to its Functionality and what it is Best For. It can be a rocker with arch legs or a bouncer which springs on wired legs. In the first place, bouncers are the chairs that swing in time to the infant's moves who can't sit with confidence yet. Thus, you should point out the head and back support as well as padding of a seat. Lots of models have additional functions to entertain and rock a baby. It can be equipped with a toy bar, tune or vibration feature. Additionally, many manufacturers provide an opportunity to use the accessory as a toddler seat when a child grows up and wants to widen a field of vision. Besides, you can fix some rockers so that they don't swing and use them as a stationary seat or a cot. Safety is the most important feature to consider while choosing any kid stuff. Since a newborn is so tiny, it's vitally important to keep him/her safe in a bouncer for newborns with the harness. You should also determine the stability of the accessory that is achieved by non-slip feet or straps. It's very important the device doesn't skip along on the floor while a baby is bouncing. Nevertheless, don't leave your baby unsupervised in a bouncer even if he is sleeping. In particular, it concerns the active babies. Also, take into account all the manufacturer's recommendations. Mainly, it relates to kid's weight limit. As some newborns are pretty heavy, you should choose a baby bouncing chair with high weight restriction if your baby is about 10 pounds. Usually, most manufacturers don't recommend using a baby bounce chair when your baby learns to sit confidently or if he rolls over or pulls himself up. And the last criterion to consider is Conveniences of a baby bouncing chair. 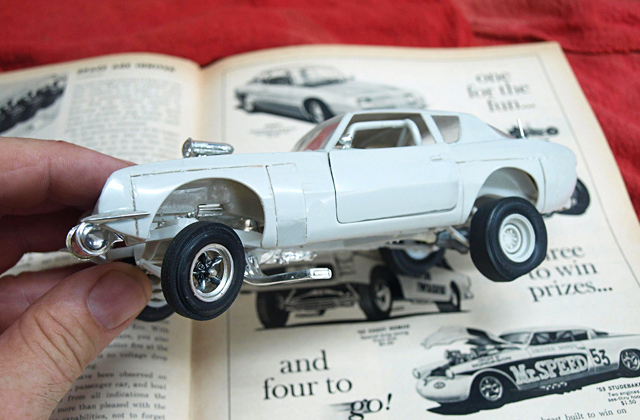 Many models are foldable for easy storage and carry. 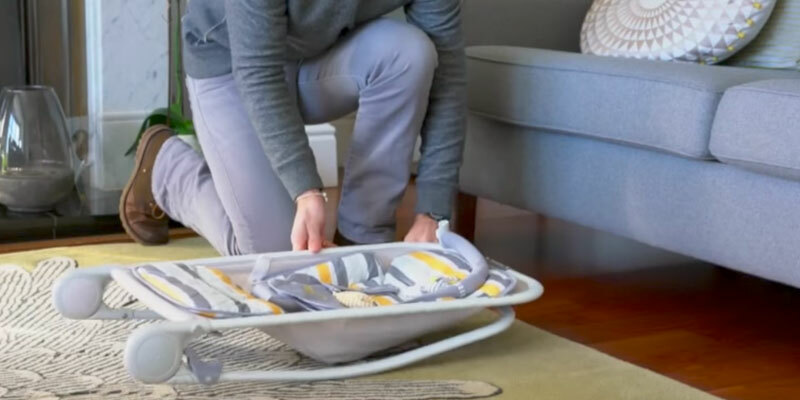 Another important feature is a removable machine washable case that makes maintenance easy-breezy especially if you are going to feed your baby in a bouncer. The next important feature is a power source. Battery-operated devices are more convenient for those who are going to constantly move or transport them (don't forget to provide yourself with batteries). Speaking of plug-in devices, we'd like to highlight that they can work for the unlimited period of time if there is a power socket nearby. But watch out as you might catch your foot in a wire! The Five Common Myths About Old-School Baby Advice. Myth 1: Infants should be bathed every day. The truth: Babies don’t sweat as adults do, so they don’t need a bath on a daily basis. With the exception of a major diaper explosion, of course, bathing a child every two or three days per week will be more than enough. At the same time, bathing a newborn every day won't cause any harm, either, just remember to moisturise baby's skin afterwards. Myth 2: Baby bouncers cause spinal alignments. The truth: There is no hard proof that rocking chairs cause spinal ailments in infants. If your baby lays or sits in such a chair in the appropriate position and for a limited amount of time, it is safe. Yet, you should remember that rocking chairs were not aimed at long period use, which is why it's better to limit the time your child spends in the rocker to 1-2 hours a day. Myth 3: I can let my baby sleep in a bouncer for long hours. The truth: Well, this way of thinking is completely opposite to the previous one. 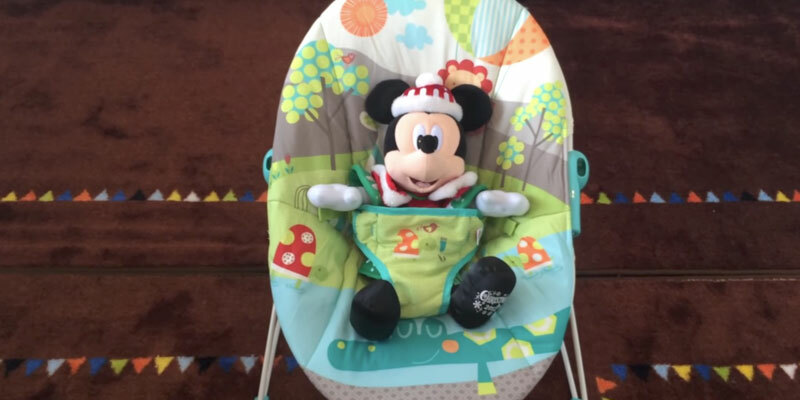 Of course, baby bouncers are very valuable chairs since they help calm and soothe your child with vibrations and soft music, and they also give you some free time to do some other household chores. However, in spite of all its advantages, you shouldn’t overestimate the power of floor and bedtime since they are corporate parts of a child’s development. So if your little one enjoys sleeping in a rocker chair more than in his bed, it is not a problem. You can let him fall asleep in a rocker and then just transfer him to his bed. Myth 4: It is essential to keep my infant on a strict feeding schedule. The truth: Every child has their inborn healthy-eating habits that tell them when they are hungry or full. So, if you put your kid on a strict schedule, you might negatively affect these habits. As well as adults eat when they are hungry, the same works just fine for kids too. It is recommended to nurse your baby on demand. For the first three months, you will need to feed your little one every 2-3 hours. Don't worry, with time, intervals between feedings will increase. Myth 5: Don’t pick your baby up whenever they are crying. Otherwise, you will spoil them. The truth: Actually, it couldn't be further from the truth. The fact is, infants have only a few calming strategies. They soothe when they are swaddled, and they have a sucking reflex that also helps them calm down. However, a physical contact with parents is as important for a child as being fed. Through contact with his mother and father, a child understands that he's taken care of. So do not avoid holding your baby in arms especially when he or she is whining. It will help you grow closer to each other and gain psychological comfort. Q: Can I let both my children use a bouncer? A: For starters, you should remember that bouncers are designed mostly for those babies who can’t sit independently, so it is better to check weight limits of your model before allowing your kids to use it. You should also take note that these helpful devices are designed to hold one baby at a time. So, even if the weight limit is not broken, it is not recommended to use a rocking chair for more than one baby at a time. You could use a baby carrier or a stroller for your other kid instead. Q: Is it ok if I use a bouncer for my two-month-old baby? A: Yes, that’s completely safe. Besides, bouncers are designed for infants from their birth, if their weight is more than 2.5 kg and to approximately 6 months or until they weigh more than 9 kg. Since the maximal and minimal weights vary with model, you should check on this parameter while selecting a bouncer. In most cases, there are no restrictions on the use of a rocker. However, if your baby is a preemie, it is better to consult your paediatrician before sitting him in a bouncer. Q: Is it safe to feed my baby while he/she is sitting in a bouncer? A: Actually no. Baby bouncers are not made for feeding. When you are feeding your baby, it is better to hold him or use a high chair or a feeding chair, depending on your child’s age. 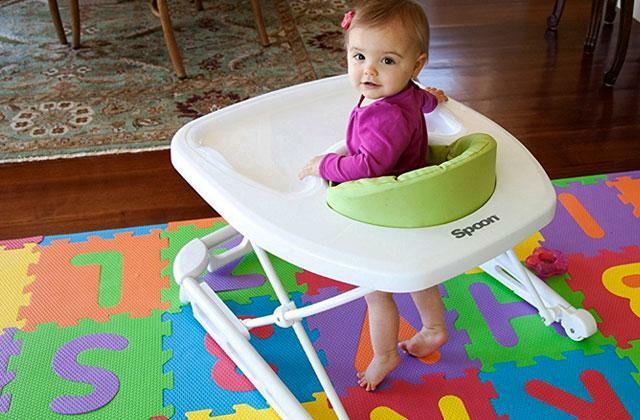 If you are going to use your baby bouncer to feed your kid, the risk of choking or getting injury increases. Therefore, we highly recommend using a bouncer as it is intended. Q: Can a bouncer help my baby feel more comfortable when he has colicky pains? A: Indeed, it can. Rocking movements of a bouncer are practically a godsend for babies who suffer from colicky pains. In fact, soothing your baby in a bouncer will be ever more effective than putting him down on his tummy or holding him in your arms. Q: My baby is attached to a bouncer and refuses to play on the floor. What should I do? A: Floortime is essential for your baby, so it is better to reduce the time on a bouncer. How can you do so? Well, since many rocking chairs are lightweight, compact, and portable, you can distract your baby with a book, a toy, etc. and put a bouncer away for some time so that your kid has enough floor time. 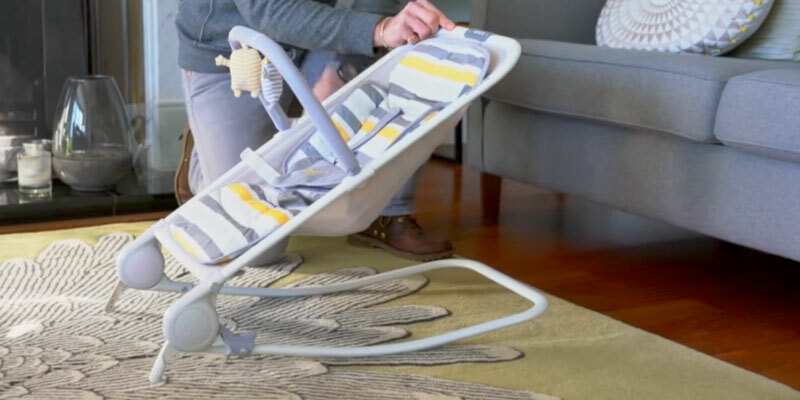 Besides, thanks to their easy-to-use design, you can always set up your bouncer back quite quickly and effortlessly when you are destructed and need your baby to do something else and be safe. 1. Anna Studman How to buy the best baby bouncer, Which? 2. 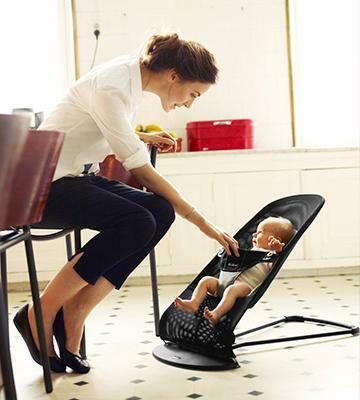 Lucy Dimbylow How to choose the best baby seat, rocker or bouncer, Netmums. 3. How to buy a bouncer seat, BabyCenter. April 2016. 4. Do you need a bouncer seat? Consumer Reports. October 14, 2011. 5. Infants (0-1 year of age), CDC. 6. 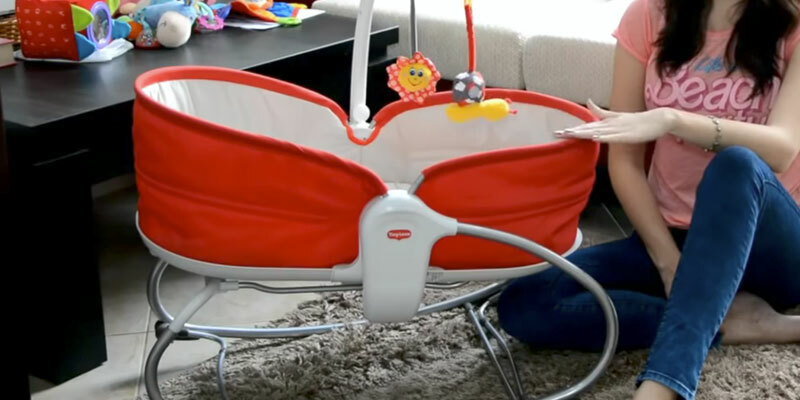 Parul Solanki How to Choose a Baby Bouncer, Buzzle. December 3, 2013. 7. Alexis Jenkins Is a Bouncer Harmful to a Baby's Development? LIVESTRONG.COM. June 13, 2017.